When one or more teeth are missing, dental bridges can be used to restore the areas where the teeth are gone. With a dental bridge, it is essential to have healthy teeth on either side to be the anchor that supports the bridge. The anchor teeth are capped with the dental appliance, and the bridge fits perfectly over the gap in the mouth to give you a natural smile. If you are missing a tooth, then it is essential to talk with an experienced dentist about restoration options. Missing teeth can lead to other dental complications, such as shifting teeth, a misaligned bite, TMJ, additional tooth loss, and more. 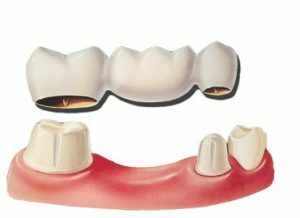 These dental bridges are a good solution to prevent the remaining teeth from shifting around within your mouth. 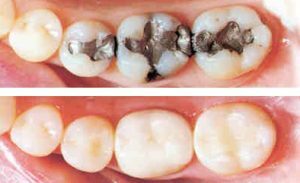 A high-quality dental bridge can last for many years, especially if proper care is used. Regular oral hygiene is necessary to protect the gums and teeth around the dental bridge. Dentures are a popular treatment for restorative dentistry, mainly because they offer a fast, cost-effective way to replace missing teeth. Depending on the number of natural teeth that are in your mouth, you might need partial or full dentures. Partial dentures can be used to fill in smaller gaps, while full dentures are needed to replace all of the teeth on one or both of the jaws. If you already have healthy teeth in place, then the preferred treatment is usually partial dentures. It is important to protect the healthy teeth whenever possible. But, there are situations where it might make sense to use full dentures. 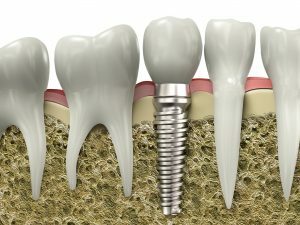 Dentures are cheaper than other dental restorations, such as implants. But, they require a bit more maintenance since they can be removed from the mouth. To learn more about the types of dentures that will be best for your mouth, contact our office to schedule a consultation. If the nerve of the tooth is affected by an infection, then it is essential that treatment is used right away to repair the tooth. The nerve is located within the root, and an ongoing infection can result in serious pain, and it can even be harmful to your health. Just because a tooth is infected, doesn’t necessarily mean that it needs to be removed, because a root canal can be a treatment that will save the tooth. We use high-tech equipment to perform root canals, to improve the outcome of the treatment and ensure your comfort during the appointment. During this treatment, the inside area of the tooth will be removed so that the root can be thoroughly cleaned. Then, the root is sealed and filled in to keep it strong. 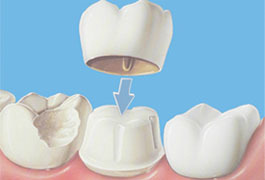 Finally, the tooth is finished with a crown on top to create a beautiful, natural appearance for your smile. If your jaw muscles are tight or sore, then you might be suffering from Temporomandibular Joint Disorder, also known as TMJ or TMD. There are a variety of symptoms that could indicate that you are suffering from this dental problem, such as clenching, grinding, headaches, facial pain, jaw pain, and more. Many times, a person suffers from these symptoms mostly at night, although there are some patients who have symptoms that continue throughout the day. Do you think that you might be suffering from TMJ? It is important to talk with us about night guards for TMD treatments because ongoing symptoms can result in damage to your teeth. With the right TMD therapy, it is possible to reduce the symptoms and protect your teeth. A protective night guard can be used while you are sleeping to prevent clenching and grinding during the night.